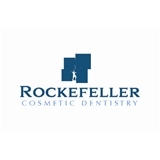 Rockefeller Cosmetic Dentistry (New York) - Book Appointment Online! Honestly probably the best dental experience I’ve had to date. Very friendly and caring towards patient needs, always asking if I was comfortable or if I needed a break. Definitely would come again.